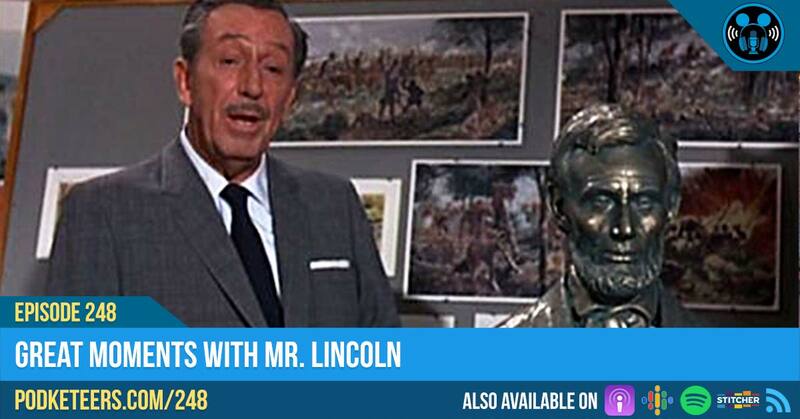 Walt Disney’s favorite president was Abraham Lincoln. 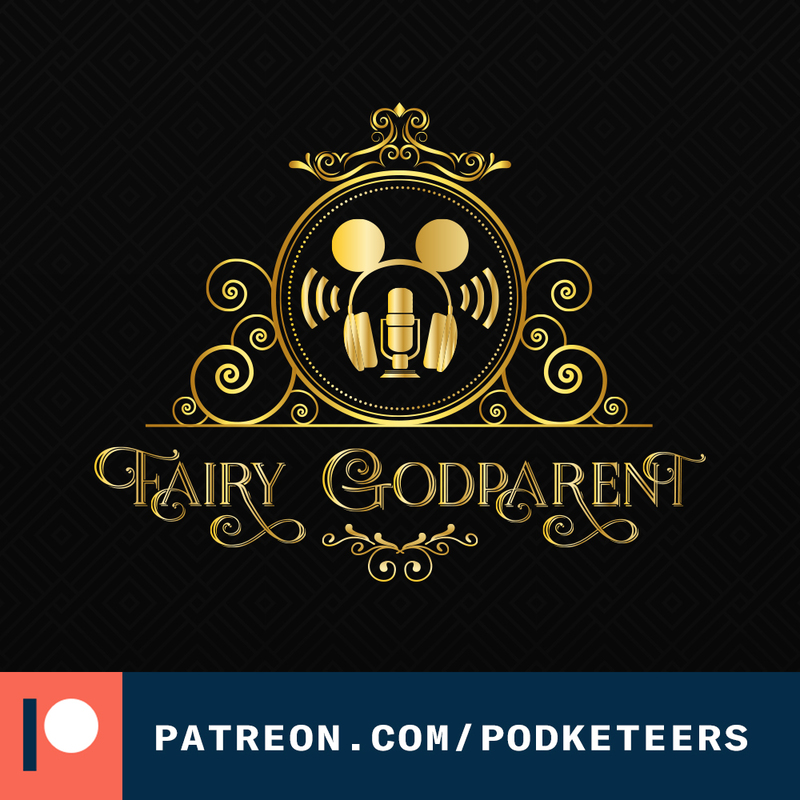 As a boy he looked up to him and the values that he stood for so it was no wonder that when he decided that he wanted a human-looking audio-animatronic that he chose President Lincoln. 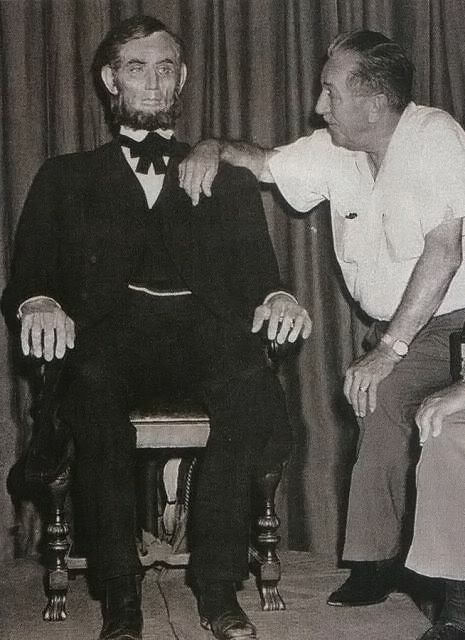 Check out the photo (below) of Walt with his Lincoln Animatronic. Something else that we’ve had a chance to talk about is the amazing work that is being done with animatronics. Last year, the company Garner Holt Productions out of Redlands, CA showcased their latest technology and it is nothing short of amazing! The skin textures, the mannerisms and facial expressions are done absolutely well. The new Lincoln is so life-like that it can even simulate breathing patterns. Heyzen still stands by his claim that the eyes need to look “more squishy”.